Springfield, MO — Carnahan, Evans, Cantwell & Brown, P.C. (“CECB”) is pleased to announce that Jay Preston was recently selected to participate in Leadership Springfield Class 34. Leadership Springfield is a nine-month comprehensive community-based leadership program. 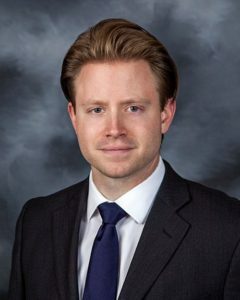 Mr. Preston is a member of the Litigation/Dispute Resolution group at CECB and concentrates his practice in the areas of business and civil litigation as well as real estate litigation. Mr. Preston received his B.S.B.A., M.B.A and his law degree from the University of Missouri.